If you don't see your ring size, please call 800-905-804. We may still be able to help you. The selected ring size is temporarily unavailable. Please call 800-905-804 for further assistance. This platinum wedding ring is a favourite style that is both simple and elegant. 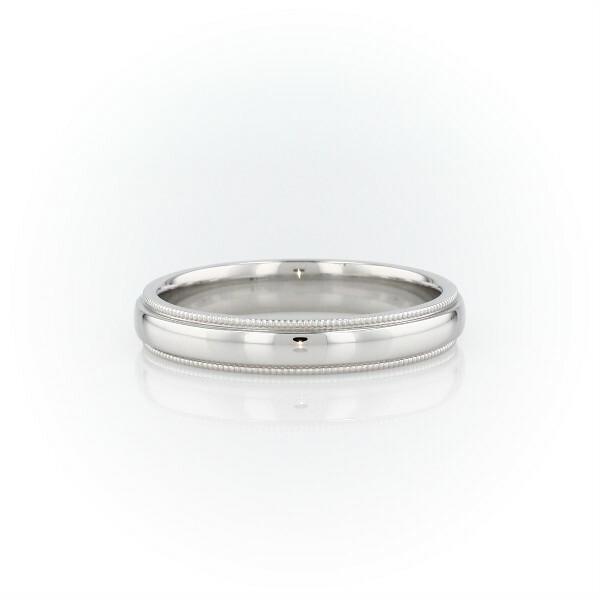 Crafted in enduring platinum with a polished finish, the slightly domed centre band is framed by detailed milgrain edges. Rounded inner edges create a comfortable everyday wear.